Music by local greats – The Coyotes! Come out and enjoy a morning on the trail with friends and family – then stop by and enjoy a live band, lunch, dessert and a cold beer. Local businesses and organizations will share the many ways to enjoy an active lifestyle and our beautiful trail system. Helmets for Children. Children are required to wear helmets when riding a bicycle – Do you need a helmet for your child? The Redding Police Officers Association will give 200 helmets to children who need them. 11 am – Bicycling with Kids. Bring the whole family for discussion, activities and time on the bike. Healthy Shasta, Sara, League of American Bicyclists Instructor and Safe Routes to School Coordinator. 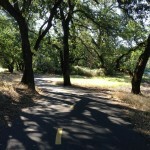 12 noon – Intro to Bicycling. Build your confidence and skills with an educational group ride on paved trails and quiet streets. Healthy Shasta, with Amy, League of American Bicyclists Instructor. 12:30 – Up-River kayak club paddle. Shasta paddlers. 2 pm – Tire Repair and Basic Bike Maintenance. By Healthy Shasta and the Bike Shop. 2:30 pm – Kayak Club fishing on the River. By Shasta Paddlers. Friday Night Oct 10: Better Bikeways celebration at Carnegie’s in downtown Redding. A pre-ride meal and social event. Register for the Jamboree Rides on Saturday. Take a ride from there and explore downtown on the new California Street bikeway! Saturday Night Oct 11: Wildcard on Wheels! A party and fundraiser celebrating the joys of cycling in Shasta County at the home of one of our favorite local craft brewers. Enjoy good beer, local music and great conversation. 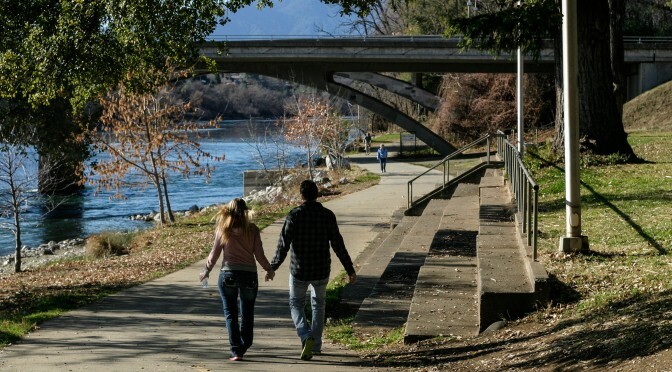 Sunday Oct 12: Family Trail Day hosted by Friends of the Redding Trails Lunch and music on the Sacramento River Trail, with a number of outdoor, trail-related organizations sharing information and activities. For locals and visitors.